Here in this elegant guitar and vocal duo setting, Kenny proves to be a storyteller in song using delicate vocal phrasing to convey emotionality. 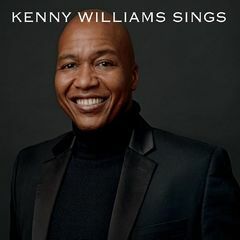 "Kenny Williams Sings" boasts 6 classics from the American Songbook, and a stunning version of Van Morrison’s slinky “Moondance.” All tracks are accompanied with sensitive dexterity by jazz guitarist Art Carvajal. The resulting EP harnesses universal sentiments of love and longing from a selection of songs indelibly etched in the world’s music consciousness. Спасибо, dear Artur! Всего Вам самого джазового!